It’s Road Safety Week so we thought it would be relevant to close the week off with a topical blog focused on ensuring that you keep driver safety front of mind this Winter. Keeping your workforce safe is a priority and this extends to ensuring their safety whilst driving for work. When driving is part of their job, the vehicle is effectively their workplace. Consideration should be given as to whether your workforce could benefit from driver risk assessments and vehicle maintenance training. Whether your employees are driving a company vehicle or their own vehicle for work purposes makes no difference. By making it mandatory for them to complete a driver risk assessment of their driving ability and the vehicles they are driving you can feel assured that while they are driving for their job they are doing so safely and with confidence. Driver risk assessments will highlight areas of concern that are potentially of high risk over both the drivers ability and attitude to driving and the suitability of the vehicle for the job. The company that completes the assessments will give you and the driver a training programme to complete to work towards a significant reduction in risks to both the driver and your business. Vehicle maintenance is important to your business both for workforce-safety reasons and to keep your business operational and running smoothly. Lex Autolease surveyed 500 UK SMEs that run company vehicles. The results highlighted that businesses that are failing to keep on top of vehicle maintenance are suffering a negative impact on cash flow. The cost of business vehicles failing MOTs is said to amount to £350million, where the research found that 1 in 4 small businesses had a company vehicle that had failed an MOT. Other negative effects included an average of £4,300 per business in unplanned trips to the garage and 3.3 million working days lost over a 12 month period. The Lex Autolease research also found that a lack of practical knowledge when it came to vehicle servicing was to blame for a large proportion of issues. Educating your workforce on basic vehicle maintenance checks and how to detect common issues is recommended at least once a year. Winter is the perfect time to do this, especially given that testing road conditions as an effect of adverse weather might mean that specific checks be applied. 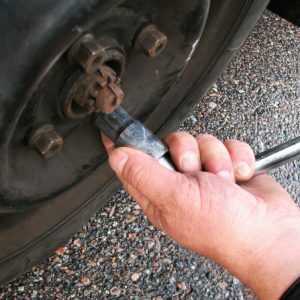 Nearly half of drivers don’t know how to ensure their tyre treads are legal, more than a third were able to check their tyre pressure, 45% were unsure of how to check oil levels and just under half couldn’t change a tyre. In addition to training, it is recommended that you put a policy in place that requires staff to perform checks on their vehicles before using them for work. Is the employee or their employer responsible for company vehicle maintenance? A survey by Venson Automotive Solutions found that 58% of company car drivers think it’s their employer’s responsibility to ensure that the car is serviced at appropriate times despite it being the employee that is accountable. Venson found that only around half of company car drivers carried out basic checks such as topping up water coolants and checking oil levels. Almost a third ignored dashboard warning lights. If your company has a fleet manager then it would be logical to make it part of their role to ensure that company car drivers are educated in vehicle maintenance. Despite vehicle maintenance and servicing being the employees responsibility, Venson recommends having a driver training and education programme in place. It makes sense to follow this practice regardless of the size of the company.